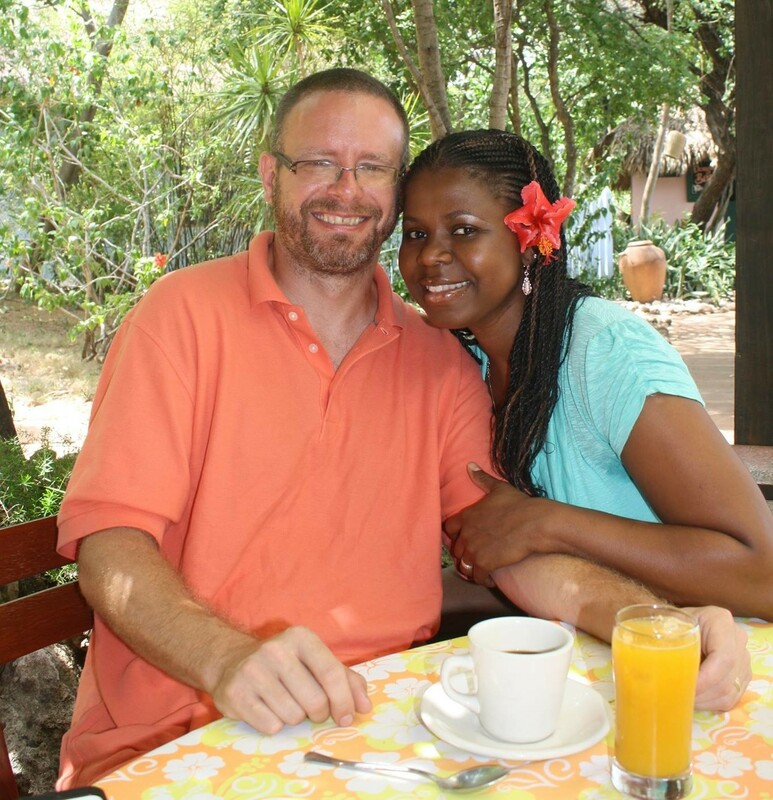 Hi there, we are Ed and Dee, and we are a stable committed couple ready to embark on the adventure of adoption. Ed is tall and good looking, he’s got sweet dimples and he’s very gentle with his children who are now grown. Dee is short and cute – she loves children and she’s young at heart and beautiful inside and out with a fun loving personality. We’ve played co-ed soccer together, and we realize that together we make a great team! We believe in parenting as a team. In very many ways ‘teamwork makes the dream work.’ We would love the opportunity to parent a child together; and we are committed to fostering an environment that is open, full of laughter, forgiving, compassionate, healthy, and nurturing for any child that comes into our lives. 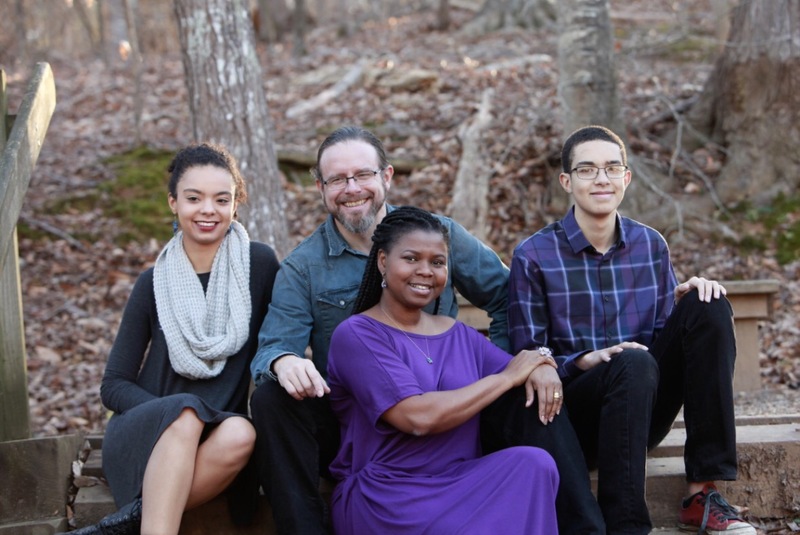 Our Family is a majority Black; multi racial, multi cultural blended unit. Ed’s two older children who are Dee’s step-children are currently college aged young adults. We have an affectionate and playful dog Leo who thinks he’s human, and sticks close to all the real humans in the home. 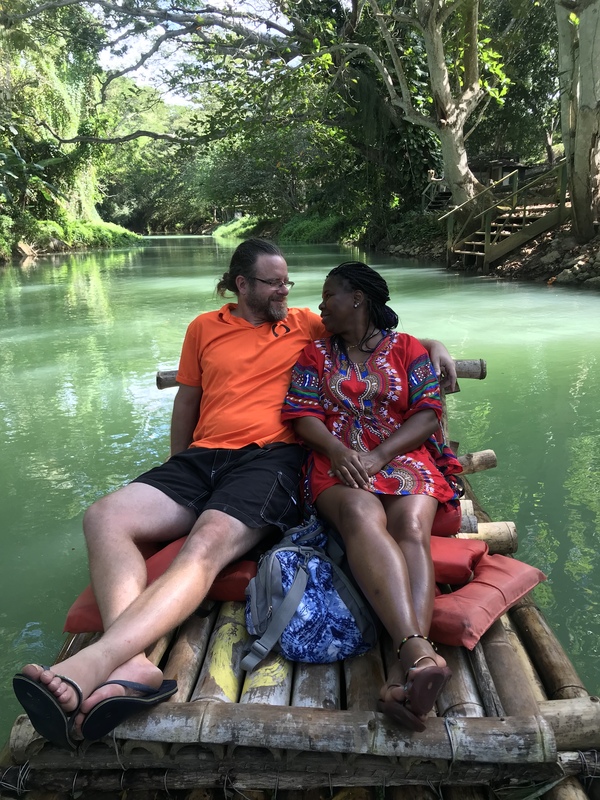 Ed’s roots are in the South, and Dee’s are in the Caribbean- you can tell by our cooking and our music that we are very much into the adventure of life. Our extended family ranges in age all the way to three years old, to our parents who are mid seventies. We maintain close contact with parents, siblings, nieces, nephews through holiday and even weekend visits, and video calls and family chats. It is really beautiful here – the four seasons are distinct in our suburban college town which is surrounded by woods, fields and waterfalls. We have been blessed with a farmhouse on almost sixty acres that runs through woods, and pretty creeks, all the way to a main river. We love to hike through our property, and the town itself has parks and hiking trails with beautiful waterfalls, and vibrant greenery. We live minutes away from downtown, top colleges and universities, and great elementary schools. We are keen on building community through farming the land we live on, and sharing the foods we grow at our local farmers’ markets, community dinners, and at home. We fully support our community through social justice initiatives ranging from volunteering on local boards to building cooperative alliances within the community. Sometimes during the summer our family will host friends and additional family for bonfires and BBQ's or even planting on our farm. 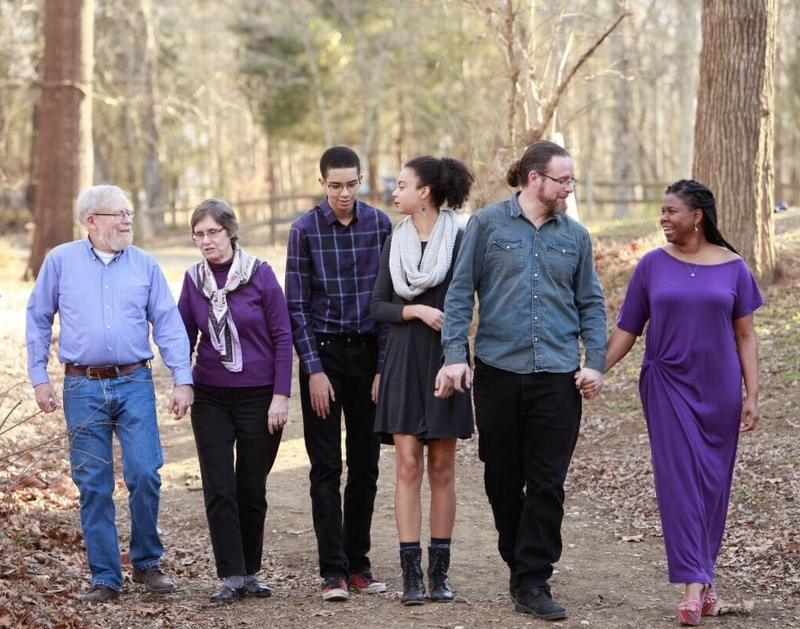 Our close friendships in the community and our family members are solid and supportive of the decision we have made to expand our family through adoption. You can be assured that any child(ren) placed with us will be fully supported by us and by our community. 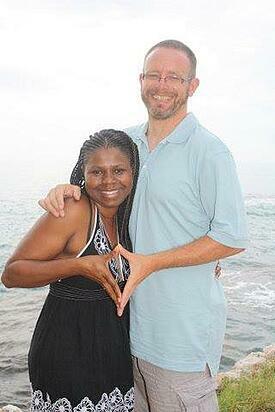 Ed is a professor at a local university, and Dee is a paralegal in immigration at a local law firm. We both are farmers because we both love to see the exciting things the earth and soil and sun and water give us in return for engaging and getting dirty! 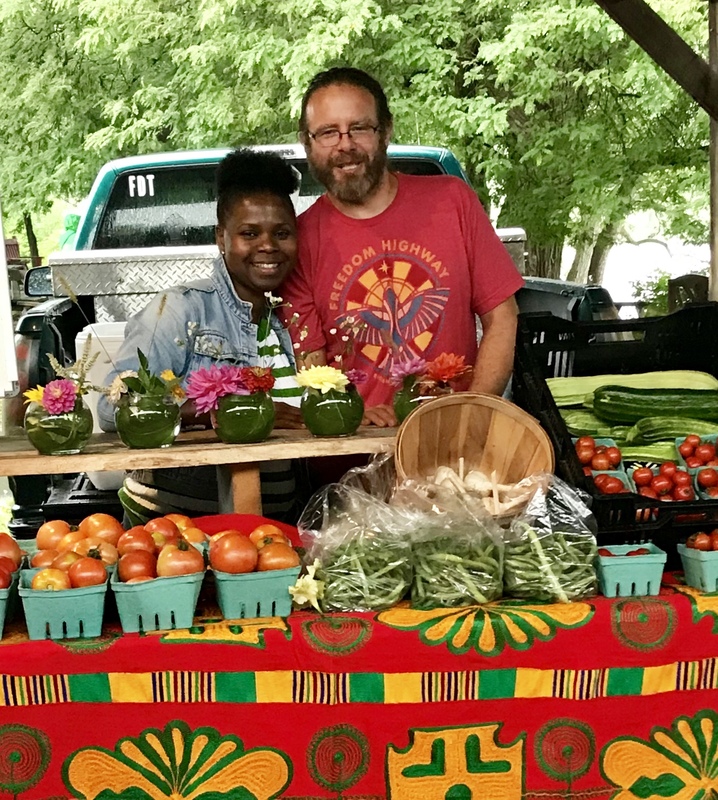 Dee loves all the flowers produced on the farm, and Ed is happiest with an abundance of collard greens! We love the outdoors! We both have shared interests and a love for farming, hiking, and camping- even just taking a leisurely stroll or relaxing on a blanket outdoors. We both love entertaining and preparing meals for our family and friends – especially with fresh produce from our farm. We both maintain and embrace the Christian faith. We both are avid readers and travelers. We travel as much as is affordable within the USA and Canada, to the Caribbean, to Europe South Asia and Africa. Traveling opens our eyes and our heart to new ways of seeing the world in which we live. These are all activities and values we would love to share with any child(ren) who come into our family. We met in 2009 and got married in 2012. We have been together ever since, and remain committed to each other, to our relationship and to our family. We promise that if you choose us as your child’s adoptive parents we will remain committed to loving this child; and to providing a home for him/her/them where they can grow. The decision to give a child life is one that you have made, and one which we deeply respect. Together, with you we can we can continue to do exactly that: give a child life.